A recently refurbished two bedroom second floor flat situated in Montebourg House. The flat has undergone a complete renovation throughout and is now offered for sale with no forward chain. Centrally located in Sturminster Newton this property offers great potential as a buy to let investment or first time purchase. DESCRIPTION An immaculately presented two bedroom second floor flat located in the popular Montebourg House. 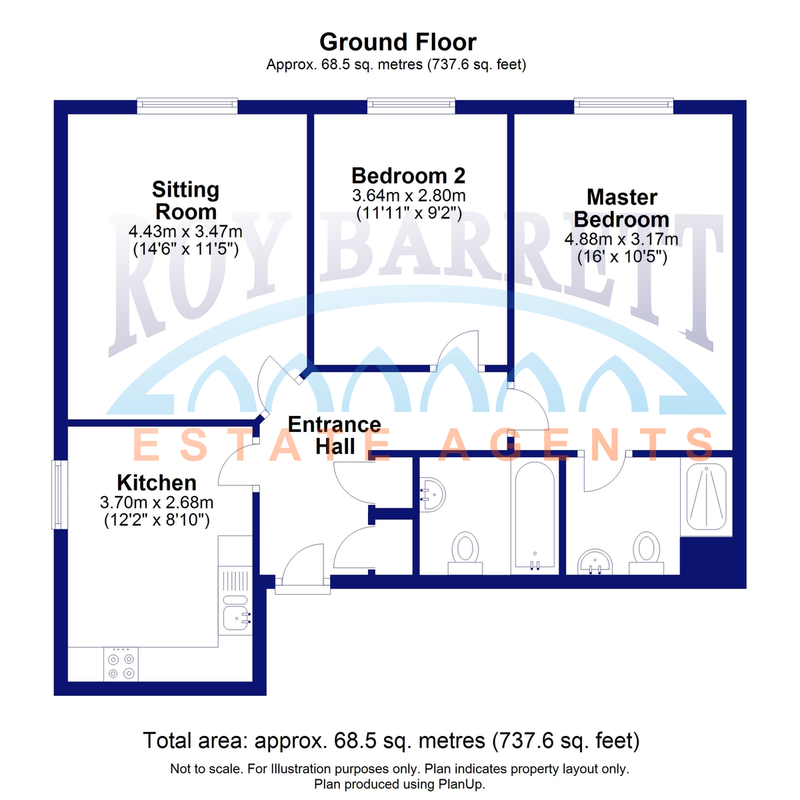 Having undergone a complete refurbishment throughout, this property is offered for sale with no forward chain and offers fantastic potential as a buy to let investment or a first time purchase. The flat is accessed through a communal hallway and stairwell leading to the second floor, which also has lift access. The private entrance to the property opens onto an entrance hall which provides a storage cupboard, an airing cupboard, and the entry phone system. The modern kitchen is fully fitted with wall and base units, a one and a half bowl stainless steel sink, oven with electric hob over, space for a fridge/freezer and space for a dishwasher. There is also a window to the side aspect and an electric heater. Adjacent to the kitchen is the sitting room which has a window to the front and side aspect creating a lovely light room. The main bedroom is a large double bedroom with a window to the front aspect. There is also an en suite which the suite comprises a shower cubicle, low level WC and pedestal hand wash basin. The second bedroom is also a double bedroom with a window to the front aspect. The main bathroom suite comprises a panelled bath, low level WC and pedestal hand wash basin. The property has allocated parking which is situated in the communal car park.